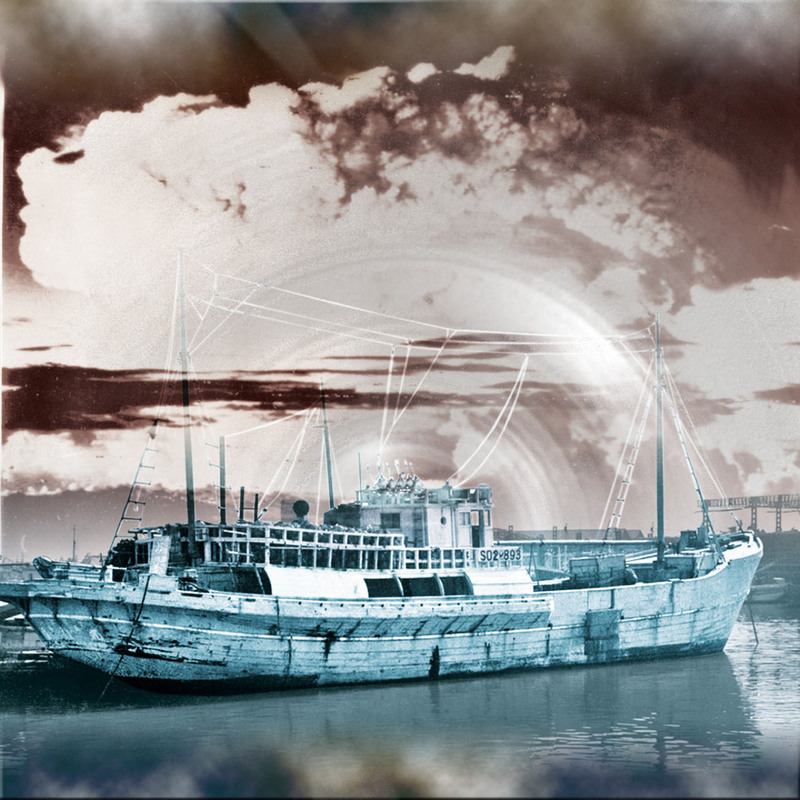 At just over 25 meters from stem to stern, and 140 tons, the wooden long-line tuna-fishing boat Daigo Fukuryu Maru (No. 5 Lucky Dragon) is hardly imposing. Yet despite its diminutive size for an ocean-going vessel, in March 1954 the Lucky Dragon’s encounter with radioactive fallout from a U.S. hydrogen-bomb test spurred shock and indignation of titanic proportions, straining Japan’s cozy diplomatic and commercial ties with the United States. Eventually, the Lucky Dragon emerged — along with the cities of Hiroshima and Nagasaki — as an enduring symbol of protest against the insanity of populating this small planet with untold thousands of nuclear devices capable of expunging all life on Earth. And since last year’s reactor meltdowns at the Fukushima No. 1 nuclear power plant, the boat has embarked on yet another voyage — as a vivid reminder of the dangers of “peaceful” nuclear technology. The Lucky Dragon departed its home port of Yaizu, Shizuoka Prefecture, on Jan. 22, 1954, with an inexperienced 22-year-old captain named Hisakichi Tsutsui at the helm. The underpowered ship capable of only 5 knots was built in Wakayama in 1947 and was plagued by engine troubles. South of Midway Island on Feb. 9, calamity struck when nearly half the Lucky Dragon’s 330 fishing lines — each around 300 meters long — were lost when they snagged on coral reefs. Faced with the prospect of returning home in disgrace after catching just a handful of the bigeye tuna they were hunting, the captain decided to head south to hopefully richer fishing grounds around the Marshall Islands. No one on board knew that five months earlier the U.S. had notified the Japanese Maritime Safety Agency that in advance of planned nuclear tests, the Bikini Atoll exclusion zone was to be expanded eastward to longitude 166° 16′. With food and fuel running low, March 1 was to be the Lucky Dragon’s last day of fishing before returning to Yaizu. Its log recorded its position as 166° 18′ — perilously close, but still outside the exclusion zone. At 6.45 a.m. on Monday, March 1, 1954, the sky was still dark. What happened then is described in “The Day the Sun Rose in the West,” a first-hand account by then 20-year-old crewman Matakichi Oishi that was published in 2011. What Oishi saw was the first U.S. test of a dry-fuel thermonuclear device, code-named “Castle Bravo.” At 15 megatons, it was the largest nuclear test ever conducted by the U.S., and remains the fifth-largest nuclear explosion in history. It was also, in a sense, an accident. A theoretical error by the bomb’s designers meant that the explosion that actually occurred was 2½ times more powerful than intended. It was, in fact, the biggest-ever explosion made by humankind, and was up to 1,000 times more powerful than the one that had razed Hiroshima nine years before. Quite obviously, the U.S., which had fallen behind the Soviet Union in nuclear weapons technology, was playing catch-up big time. Lucky Dragon wasn’t damaged by the blast or its shock wave, but several hours later white, radioactive dust from atomized coral that had surged up to the edge of the atmosphere in an enormous plume began raining down on the Lucky Dragon and all aboard. While the fallout continued to rain down, the crew spent six hours pulling in the lines before setting course for home. By the same evening, crew members were starting to notice skin burns and other symptoms of radiation — symptoms that only worsened during the two-week voyage to Yaizu. 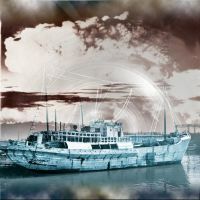 Later tests of the shi no hai (ashes of death) that fell on the ship found a toxic cocktail of radioactive isotopes, including strontium-90, cesium-137, selenium-141 and uranium-237. The ship reached Yaizu on March 14. After a Geiger counter detected radiation at a distance of 30 meters, it was towed to a remote section of the port and put under police guard. The 23 crew were quarantined in a hospital outside the city. Their heads were shaved and their irradiated clothing and possessions were buried. 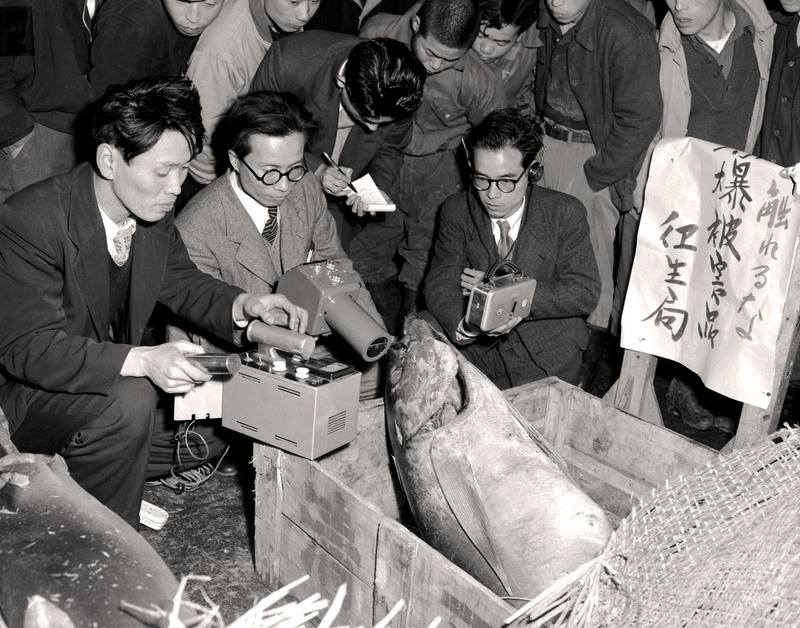 In frantic efforts to track down the ship’s catch, Geiger counters were used at Tokyo’s Tsukiji and other fish markets, but at least two of the huge tuna were likely sold and eaten. 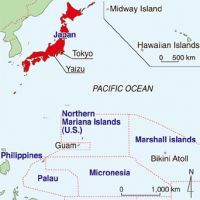 Afterward, the Ministry of Health and Welfare stated that 856 Japanese fishing vessels, with upward of 20,000 crew members were exposed to radiation from that test. 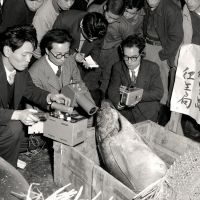 The price of tuna plunged due to fears over radiation, and some 75 tons caught from March through December 1954 were found to be unfit for consumption and were destroyed. However, in an example of the paranoia typical of those times, the head of the U.S. Atomic Energy Commission alleged that the Lucky Dragon had been sent to Bikini “to spy” on the test. Nonetheless, the U.S. government grudgingly paid out $2 million (¥720 million at the current rate of exchange) in “consolation money” — a settlement far short of the claimed damages of ¥2.47 billion. Slightly over 10 percent went to the Lucky Dragon’s owner and crew, each of whom received about ¥2 million. In the summer of 1954, Aikichi Kuboyama, the Lucky Dragon’s chief radio operator, who was, at age 40, the oldest crew member, developed liver complications and went into a coma. On Sept. 23, he died at a Tokyo hospital, leaving a wife and three young daughters. The Lucky Dragon and its crew — half of whom were still living at the time of the 50th anniversary of the incident in 2004 — served to galvanize anti-nuclear movements in Japan and worldwide. On Aug. 6, 1955 — the 10th anniversary of the Hiroshima bombing — the first World Conference against Atomic and Hydrogen Bombs was held in Hiroshima. The Lucky Dragon incident was also to inspire the original sci-fi horror movie “Godzilla,” an allegorical story of a mutant, fire-breathing sea monster, spawned by nuclear testing, that attacks Japan. The film was released on Nov. 3, 1954. 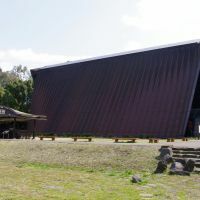 The vessel’s former name, Daigo Fukuryu Maru, was restored, and in June 1976 the exhibition hall in Yumenoshima Park, in Tokyo’s Koto Ward, opened to the public. In addition to the actual ship, visitors can see a variety of artifacts from the ill-fated voyage, including its log, radio, and items owned by the crew. The exhibition hall is an obligatory stop for school groups visiting Tokyo, many of which leave behind brightly colored chains of 1,000 origami cranes, called senbazuru, as a prayer for peace. 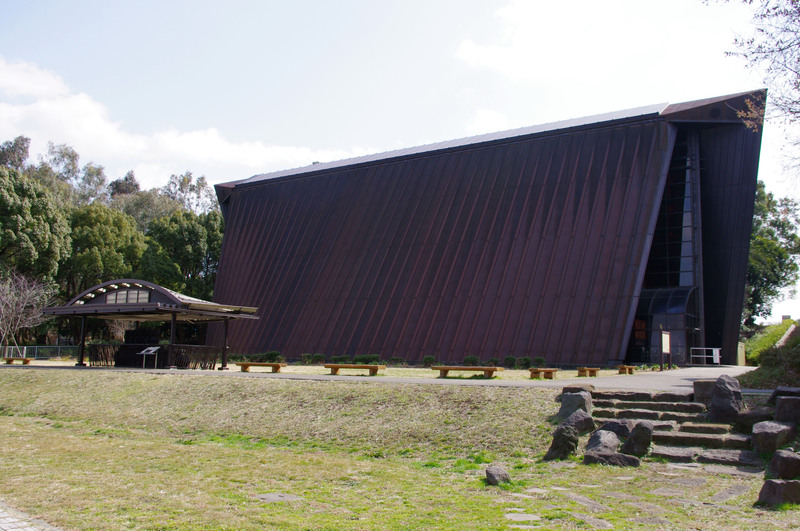 The Daigo Fukuryu Maru Exhibition Hall (Daigo Fukuryu Maru Tenjikan) is in Yumenoshima Park, a 10-min. walk from Shin Kiba Station on the Yurakucho Subway Line and JR Keiyo Line. Open 9:30 a.m. to 4 p.m. (closed Monday unless it is a public holiday, when it is closed the next day). A brochure and explanatory wall panels are provided in English, and admission is free. For more details, call (03) 3521-8494.